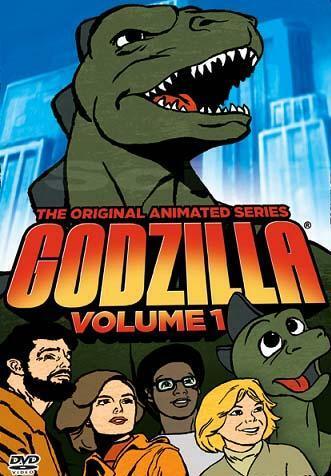 Under great protest, I am writing to tell you all about the late 1970s Hanna-Barbera cartoon Godzilla. As I struggled to come up with a movie to share with you, kind readers, my son came running up and begged—BEGGED—me to write about this cartoon. Like so many Hanna-Barbera shows of this era, everyone looks and sounds like members of the Scooby-Doo gang, but with far less plausible plot lines. If you listen, you will even hear the voice of Scooby-Doo, although in this he is the voice of Godzilla’s hapless, clumsy little buddy, Godzooky, who is a tenth the size of Godzilla and is clearly there as the unnecessary laughable misadventurer. Think Glomer from the Punky Brewster cartoon. Or—worse—Scrappy-Doo. The premise of the shows is this: a team of scientists accompanied by the child of one of the scientists, always comes across some bizarre phenomenon. The phenomenon leads to a creature who can only be defeated by Godzilla. Also, Godzilla is friendly and dutifully comes when called. Godzooky, inexplicably, lives with the scientists. Personally, I do not care for this show, though my son has watched them dozens of times. Maybe your kid will love it too. Though I recommend you bring something to read.